If someone ask you a question that can you drive your vehicle without brakes? Than what will your answer, obviously No. Driving a vehicle without brakes is impossible. Brakes are crucial for stopping a vehicle and drive safely on the road. 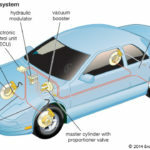 Use of proper braking system enhances handling of the vehicle to a greater extent. In modern vehicle the drum brakes are mostly installed at rear wheels. There are different types of brakes available in the market. But here I will discuss only about Drum brakes and how it works. 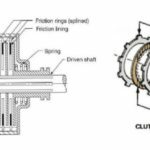 To understand about this brake in detail first we must have a keen knowledge about its various parts and their function. The whole assembly of the drum brake is fitted to the back plate of the wheel. The back plate remains stationary and it does not rotates with the wheel. It is a round cast iron housing which is used to stop the vehicle with the help of brake shoe. The drum brake is bolted to the hub of the wheel. It rotates with the hub. (i) Primary Brake Shoe: The shoe having large lining material is called as primary shoe. (ii) Secondary brake shoe: The shoe with small lining material is called secondary shoe. It is used to force the brake shoe outward to apply the brake. 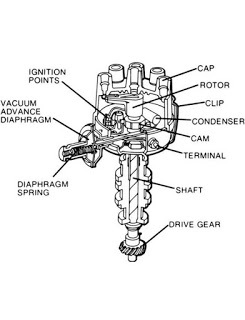 The wheel cylinder is connected to the master cylinder. It contains piston which moves outward when brake is applied and forces the brake shoe towards inner surface of the drum. It is used to retract the brake shoe after brake is applied. Two return springs are there in durm brake, one for the primary shoe and other one is for secondary shoe. It maintain the minimum gap between the brake shoe and drum so that they do not contact each other when pedal is not pressed. In the case if the brake lining wear out, and gap increases in between the shoe and drum, It can be adjusted again to maintain the gap between shoe and drum inner surface. once it is adjusted it maintains the same gab during the brake working by itself. The brake shoe is allowed to expand in both the direction. As the brake lining of shoe touches the inner surface of the drum, friction is generated in between the brake shoe and drum and stops the vehicle from moving. 1. 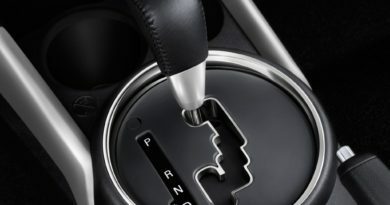 As the brake pedal is pressed, it compresses the fluid in the master cylinder and allows the piston of the wheel cylinder to expand outward. 2. The outward motion of the piston of wheel cylinder forces the brake shoe outward against the brake drum. 3. As the brake shoe lining touches the inner surface of the drum, and due to the friction generated in between the brake shoe and drum, the motion of the wheel reduces and vehicle stops. 4. 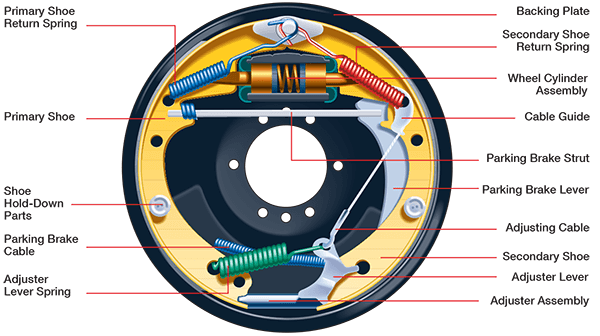 As the force is removed from the brake pedal, the retracting springs draws the brake shoe inward and the contact between the friction lining and drum ended. Now again the brake is ready to apply. 5. A self adjusting screw is present at the bottom, which is used to maintain a minimum gap between the drum and brake shoe. When the lining of the brake shoe is wear out than the gap between the drum and brake shoe increases, at that time the adjuster is adjusted again to maintain the minimum gap. 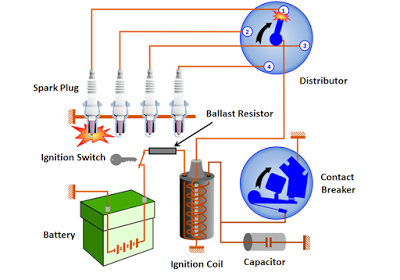 They are self energizing braking system. It means they are designed to operate by itself. It is cheaper than the disc braking system. 1. Heating problem: Since the friction area is totally covered by lining, so heat is developed during the friction is not allowed to go out in the atmosphere. 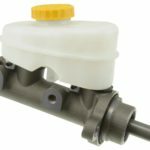 This may reduces the braking efficiency of the vehicle. 2. The drum brakes will not work properly if it gets wet in water. This is because water takes longer time to come out from the drum. the water reduces the friction in between the brake lining and drum. 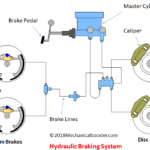 In this article we have learnt about how drum brakes works and its main parts, working principle with advantages and disadvantages . If you like this article than don’t forget to share.